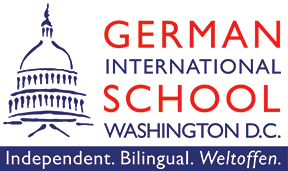 Curriculum: German early childhood curriculum. Play-based, multicultural, 2-year-old group, 3/4s in mixed aged groups. 1. Personal skills – I am myself. Children develop confidence in their physical and mental abilities and learn to estimate them appropriately, take responsibility and act responsibly. 2. Method skills – This is the way I do it. Children develop learning strategies and techniques for themselves and implement these to complete the task at hand in a suitable manner, developing both creativity and imagination. 3. Social skills – Together we are strong. Children develop trusting relationships with other children and teachers. They learn to cooperate, live together, and take on responsibility. In conflicts, they learn to accept one another’s opinion and work together to develop problem solving strategies in a peaceful manner. 4. Specific skills – Show me something. Activities stimulate curiosity through playing and sharing experiences Children are allowed space and time to discover and develop their own manner of expression. Enrichment offerings: Weekly music lesson, bi-weekly library visits, monthly Zumba classes, and other special events. Minimum enrollment age: 2 years. We offer rolling admission.